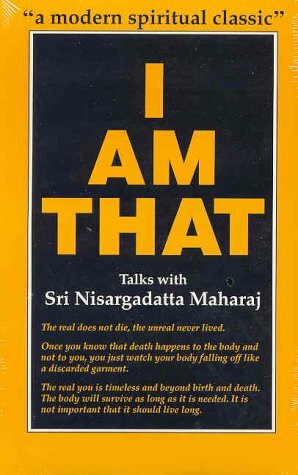 This collection of the timeless teachings of one of the greatest sages of India, Sri Nisargadatta Maharaj, regarded by many as a "modern spiritual classic" is a testament to the uniqueness of the seer's life and work "I Am That" preserves Maharaj's dialogues with the followers who came from around the world seeking his guidance in destroying false identities. The sage's sole concern was with human suffering and the ending of suffering. It was his mission to guide the individual to an understanding of his true nature and the timelessness of being. He taught that mind must recognize and penetrate its own state of being, "being this or that, here or that, then or now," but just timeless being. A simple man, Nisargadatta Maharaj, was a householder and petty shopkeeper in Bombay where he lived, and died in 1981 at the age of 84. He had not been educated formally, but came to be respected and loved for his insights into the crux of human pain and the extraordinary usidity of his direct discourse. Hundreds of diverse seekers traveled the globe and sought him out in his unpretentious home to hear him. To all of them he gave hope that "beyond the real experience is not the mind, but the self, the light in which everything appears...the awareness in which everything happens." In this inspirational guide, Dyer reveals seven beliefs central to working miracles in our everyday lives. From "creating a miracle mind-set" and achieving change in the areas of personal health, prosperity, and fulfilling love relationships to believing in the magic of miracles on a global scale, Dyer shows us that miracles within our reach -- and within our own minds. "Real magic," according to Dyer ( Your Erroneous Zones ), has nothing to do with sorcerers or fairy godmothers. It occurs in our daily lives when we let go of negativity and self-limiting beliefs about ourselves and our circumstances and instead pursue " perfect equilibrium of the mind." Urging readers to "realign" themselves with the "invisible world," Dyer offers concrete suggestions about how to "get to purpose" through service to others and unconditional love, how to become spiritual beings and how to create a "miracle mindset." 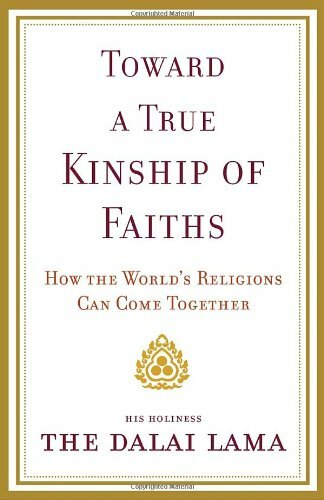 He also explores ways readers might improve relationships and find prosperity, personal identity and even physical health. Finally, he explains how "real magic" can be plumbed on the global level to alleviate world problems. 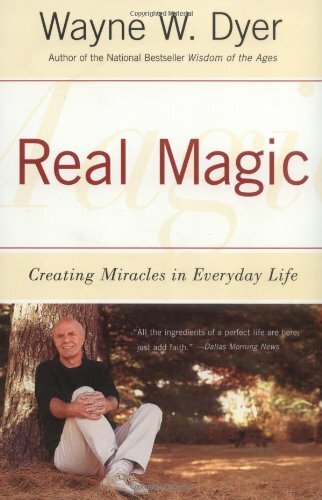 With anecdotes from his personal life, Dyer illustrates his own "magnificent transformation," testifying that "real magic" has led him to the higher awareness he cheers his readers toward. $150,000 ad/promo; author tour. Dyer (You'll See It When You Believe It, 1989, etc.) recaps the major tenets of New Age thinking--power meditation, unified field theory, mind-body healing, and prosperity consciousness, to name a few. ``Real magic,'' according to Dyer, is the seemingly miraculous response of the environment to a unity of purpose and belief in the individual. Whatever you believe, he says, you will create both within and outside yourself. Your present circumstances have also been created by you in the past--and this is not blaming the victim, Dyer insists in the face of criticism that it is cruel to hold the poor and ill responsible for their misfortune; rather, he claims, it is an empowering of the victim by offering the promise of self-created change. Health, prosperity, a more pleasing and successful personality, fulfilling relationships--all are within our power to bring into being. How? By becoming more spiritual beings; by being open to divine guidance; by meditating daily; by being willing to believe in a reality beyond that verifiable by the five senses; by developing a loving, accepting attitude. The power of real magic also radiates beyond the individual, Dyer maintains, so that a person who has gotten ``to purpose'' can change the world just by being. All this is more or less familiar to readers of Deepak Chopra, Jose Silva, Krishnamurti, and others. Dyer's strength is in popularizing these thinkers and their ideas for the mainstream; his weakness is in a certain whiff of infatuation with his own celebrity that now and then wafts up from his pages. -- Copyright ©1992, Kirkus Associates, LP. All rights reserved.